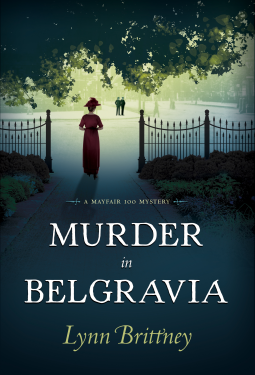 A WWI mystery-Murder in Belgravia by Brittney – Joyce's mystery and fiction book reviews with some non-fiction too! This is the first novel in a new historical mystery series set in Britain during WWI. The premise centers on the formation of a new detective unit which includes both men and women. The two women are a doctor and a woman who took law courses but, since she was female, could not obtain a degree. The men are forward thinking officers of the law. The story centers on the death of a returning soldier who may have been murdered by his wife. A lot is thrown into the mix including scenes set in upper class homes, hospitals and brothels. This was an interesting book with characters who were quite likeable. I look forward to the next in this Mayfair 100 series. Thanks to the publisher and NetGalley for the e-galley. The opinions are my own. I haven’t heard of this book! It looks so good! It’s definitely going on my TBR! Thank you and thanks for reading my post. Oh, this sounds like a terrific series. I love historical mysteries. Wonderful review and Happy New Year, Joyce!